Electronic production duo and brothers Luke and Sam Norland release their first EP 'Flooded' on Studio Rockers. 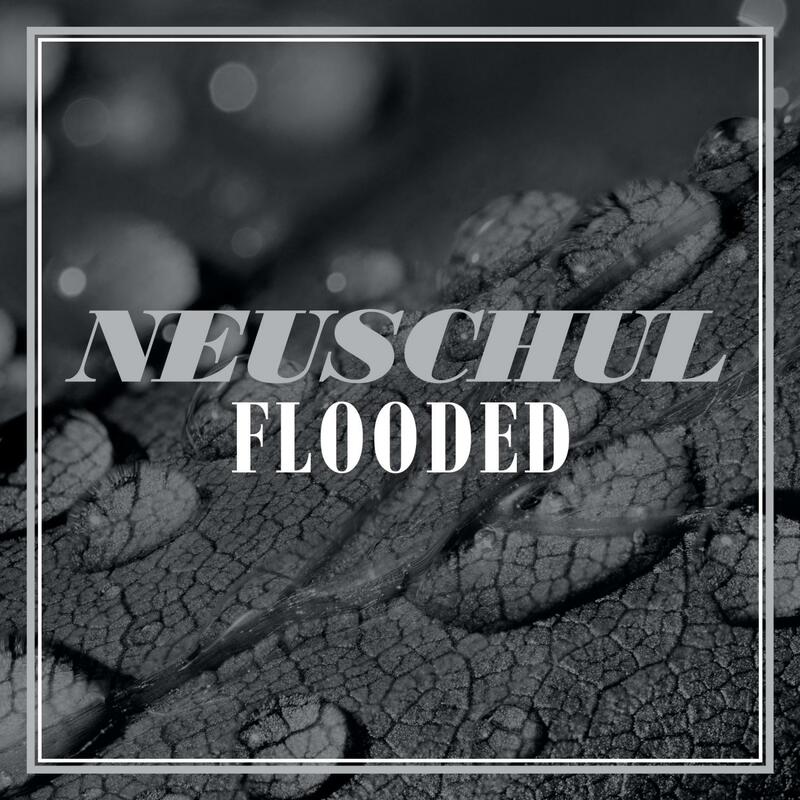 'Flooded' is the first release from Neuschul (AKA Luke and Sam Norland), an electronic production duo formed of brothers who are based in London and Bristol respectively. Luke's classical music background and Sam's experience as a sound designer combine delightfully to result in a moody and ethereal seven-track EP that is inspired by the brothers' love for experimental electronic music in the vein of Boards of Canada, Aphex Twin and Bonobo. The first two tracks 'Flooded' and 'Stay Open' feature the vocal talents of Michelle Denny who's delicate, RnB-inspired approach gels perfectly with the rich, ambient vibe of the beats. 'Flooded' indolently pulsates in and out of life with its heavy bass while 'Stay Open' has a darker, sharper and more bouncy vibe. 'Gravity' is a highlight of the EP with its cloudy, Clams Casino-like production; a hazy synth pad evolves and mutilates before giving way to a tight, tumbling percussion loop. 'Submerge' is the most dance floor-ready of the tracks on the EP with its addictive bass line and deep house-style drum breaks. The Redpine & Solo remix of 'Flooded' that concludes the EP is erratic and turns the original into a gnarly club-ready banger. Neuschul's production across the EP is at once pristine and grungy and altogether very precise; Studio Rockers is proud to present the Norland brothers' first release. Written by Michelle Denny, Luke and Sam Norland. Produced & Mixed by Luke and Sam Norland.